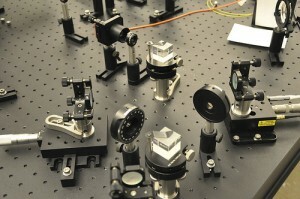 Welcome to the Optics Lab at Dickinson College. 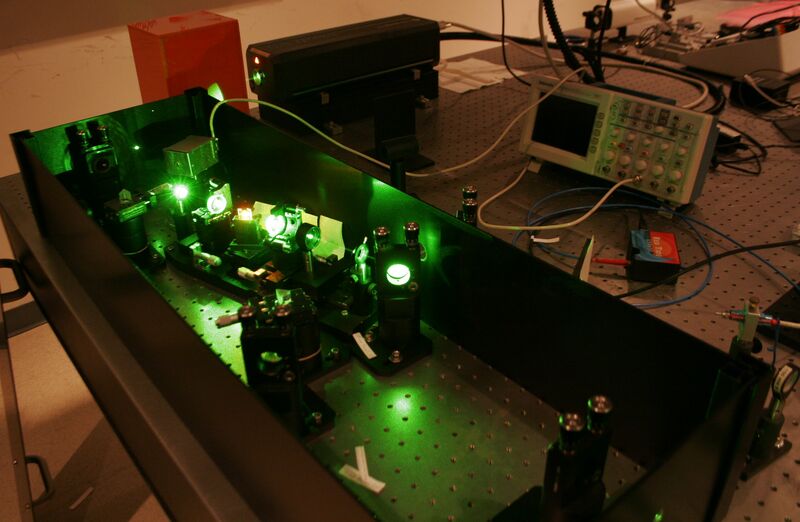 The ultrafast lab (Tome 207) houses a Ti:Sa laser oscillator that is used for pulse shaping and microscopy applications, while the quantum optics lab (Tome 215) contains a single-photon SPDC source and associated detectors for examining interference, quantum sources of light, and Bell’s inequalities. Interferometer in the quantum optics lab.